Now that I have finished my latin dress (see the post here) my next major project is a ballroom dress. This is quite a step up in complexity from anything I’ve ever really done before. But I don’t really want to spend a ridiculous amount of money buying a custom made dress nor do I want to get a cheaply made dress, so a steep learning curve and hopefully the outcome will be a well made dress for a significantly smaller price tag. 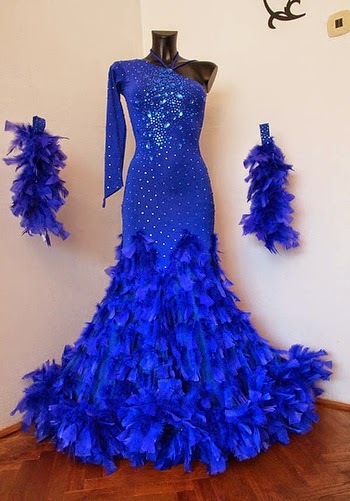 I also have a little bit of a challenge since I am going up to intermediate level on the dance circuit next year which means I can wear open dress, the uni circuit starts at the end of October/beginning of November… So ideally I have until then to design and construct my ballroom dress… eeeek! So this is the first post in a series which will hopefully guide you through my discovery of ballroom dress designs and my (hopefully successful) journey to making my first ballroom dress! and now onto the actual inspiration…I actually have to say that a lot of the dresses that I have seen online I haven’t really liked that much. It seems that feathers and adornments are quite fashionable and I really don’t want any of them! So many feathers! I’d feel like a bird dressed in this! 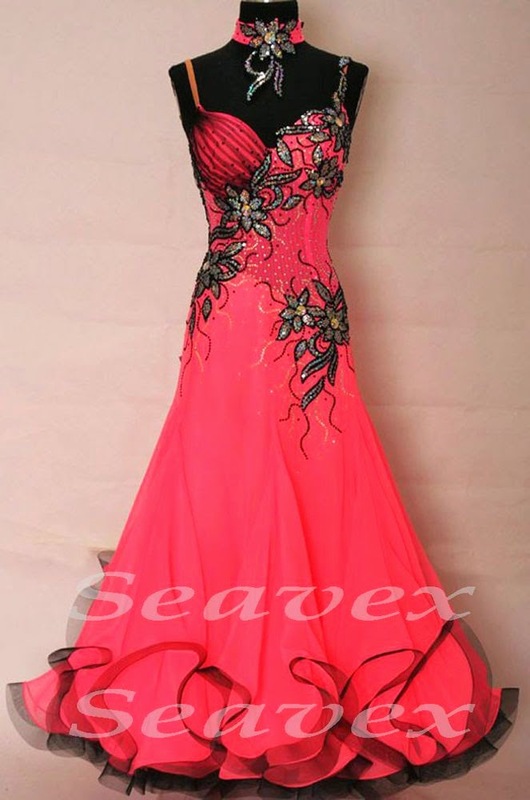 And there are some crazy coloured dresses out there. Pretty much ever crazy colour combination you can think of there will be a dress out there made with it. Dresses that I like more are some of the following. This dress has a lovely binding on the bottom of it. The crinoline (or horsehair braid) gives it more body. Nice use of patterned fabric as well. Although I’m not such a fan of the sleeves/floats. Another use of crinoline binding on the hem of this dress although it is a thinner crinoline and there is a significantly longer hemline. Not sure if I like this style quite so much. This dress I really like the colour of, although I’m not too keen the back, nor the shiny fabric. I think I’d prefer something matte. I love love love the colour of this dress, and I actually quite like the back of it as well. It also uses crinoline in the hem, but in such a way that it is not exposed when it is finished. A little bit too much volume to the skirt I think though. I really like the back on this, although I wouldn’t necessarily want it to be so low. 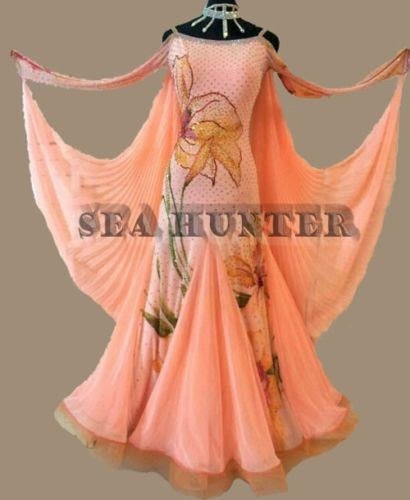 There are so many different styles and constructions of dresses out there. I am going to have to look at a lot more and then come up with a list of the features that I want/ colour schemes and try to make a design where the features complement each other.